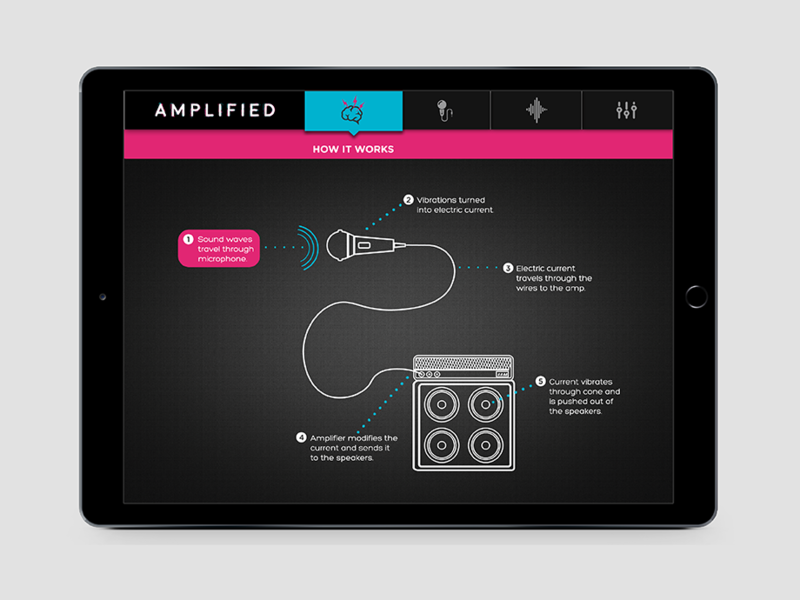 This application was designed to be used in an exhibition geared towards enlightening visitors about sound. 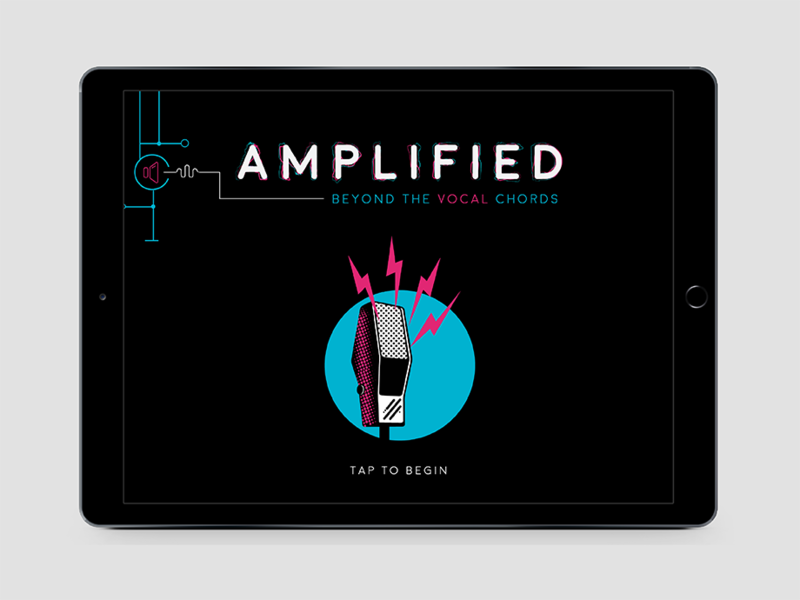 Its function serves to teach users about microphones and sound amplification with an interactive interface. 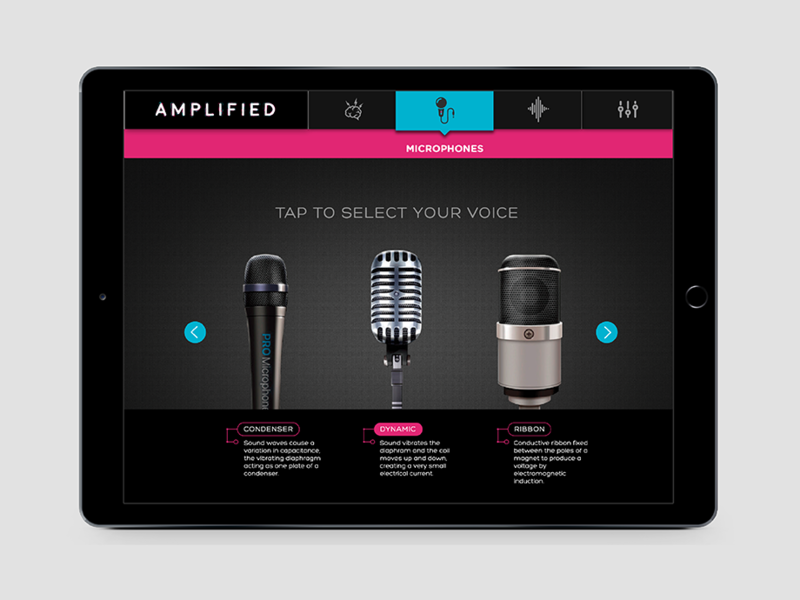 The user can choose between a variety of microphones and test each one individually. 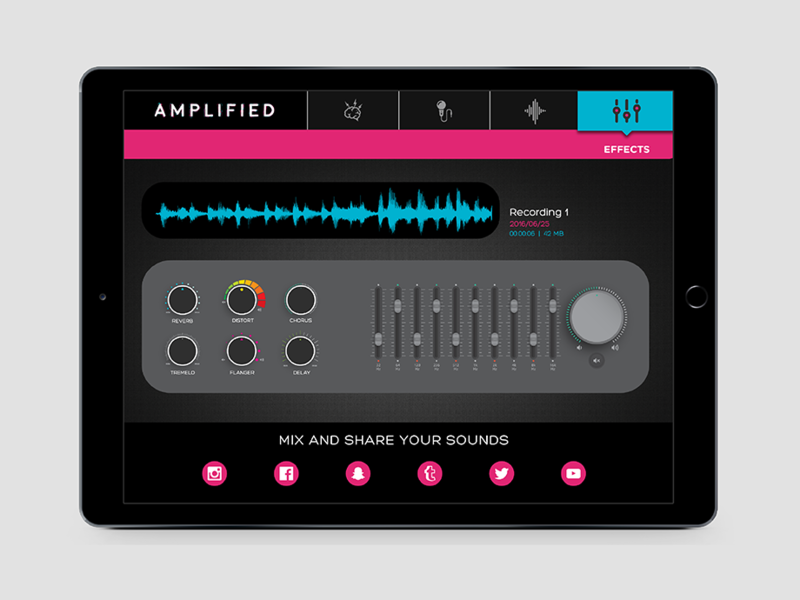 They can then record their sounds and add a large range of effects.